I couldn’t believe all the great rustic items I found at Kirkland’s ! We’ve been back at the not-so-rustic cabin in the woods a few times now and it’s really coming together. It seems like every time we go up we haul a ton of stuff, we work the whole weekend and then come back home so there is not much time for relaxing….yet. I’ve shown you the living room and kitchen recently but I really started to decorate the living room this past weekend and I’m loving the results. 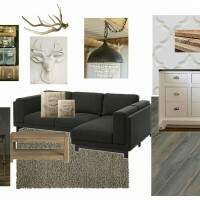 I really want to go with a rustic/vintage/industrial vibe that also has winter elements since it’s near a ski hill. When I spotted this wire cubby shelf on the Kirkland’s website, I immediately snatched it up. I couldn’t believe all the rustic finds I found. The entryway is narrow so it won’t accommodate a table. 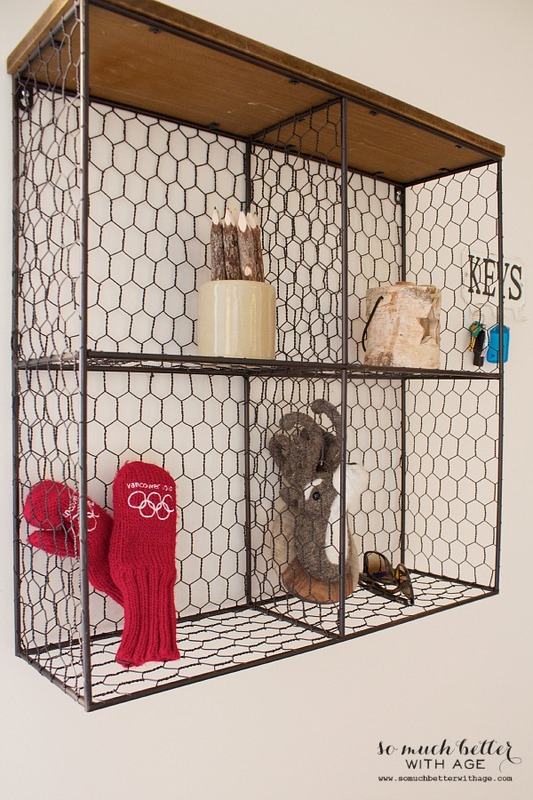 A cubby shelf is perfect to hang on the wall for keys and sunglasses, etc. I love the little rustic candle I recently got as a gift (thanks Seema!). The pencils I scored at Home Sense and the felted wool trophy head I got from Spruce Collective. Can’t forget my official mittens from our 2010 Olympics! 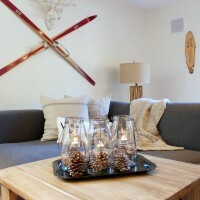 Just adding a few rustic touches to the living room have made it really feel cozy from the bare bones it was last time. 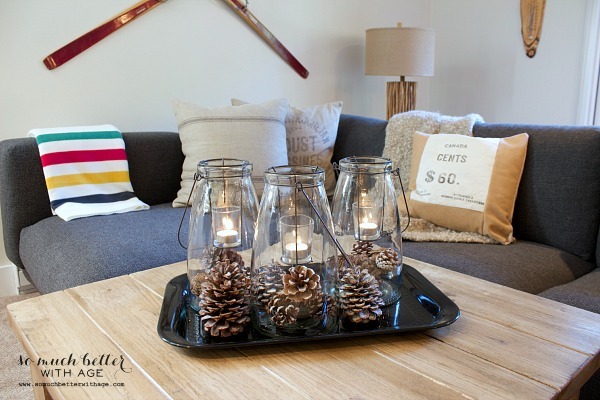 These glass lanterns are so economical at around $7 each! 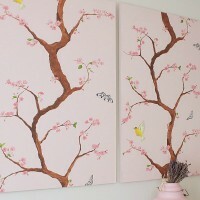 So why not pair three together and add whatever rustic element you’d like inside. The votive candle is suspended with wire. Love, love, love. Thanks for the pinecones, Candice! I love my deer head. You might recognize him from my fall home tour. I purchased it for the cabin but when I ordered it online and it arrived at my house I couldn’t wait to try it out at home. I think I need two of them! The old wooden skis were a score at a local antique shop. I love that it’s all chippy and white but it’s nice and solid too. Not extremely heavy but a good weight to it. It looks and feels like concrete but it’s crafted of resin. I’m also in love with this rustic twig lamp. The living room does not have any lighting so a lamp was key for this room. Love how large the lamp is too. It lights the whole room. I’m just in love with the rustic yet simple touches of this space so far. I really want this place to be a cozy retreat, a place that feels different from our home, and a place to really unwind and get away from it all. I think it’s off to a great start! 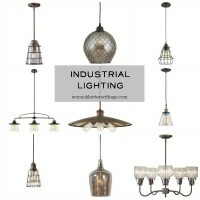 Check out all the great rustic finds from Kirkland’s. And be sure to check out their Black Friday and Cyber Monday sales!! Love the red skis and the red Olympic mittens! My daughter had an old pair of those mitts … gotta go on the search. Nice touch for the holidays too! I love their Christmas greenery garlands. And the pilsner beer glasses are so fun! I JUST put that deer head on hold!! Picking it up after work! Thanks!!! I love the Berry and Pine Garland! The jewelry armoire is fantastic! Thank you for the giveaway! Your lamp is is really nice! I love the Metal Rope Wall Mirror – And for such a great price! 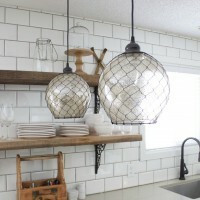 Those lanterns are sooo cute and such a great price! Wow. Great giveaway.I love the Waves Of Color picture. I love their home state pillows! Am head over heels in love with the deer! Will more than likely have to purchase that one for myself. So many great finds! That wire shelf is amazing, and I absolutely love the deer head. The cross country skis are so perfect!! I love your ‘rustic’ cabin Jamie! I love the decorative mirrors on their site– so pretty! 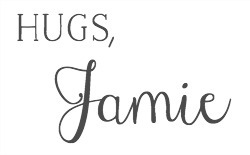 Thanks for the giveaway, Jamie! There are so many wonderful finds at Kirklands. I really love the deer head and think that would be great over my mantel during the winter season. Your cabin is coming along nicely with a mix of rustic and modern. Love everything about your rustic cabin in the woods. 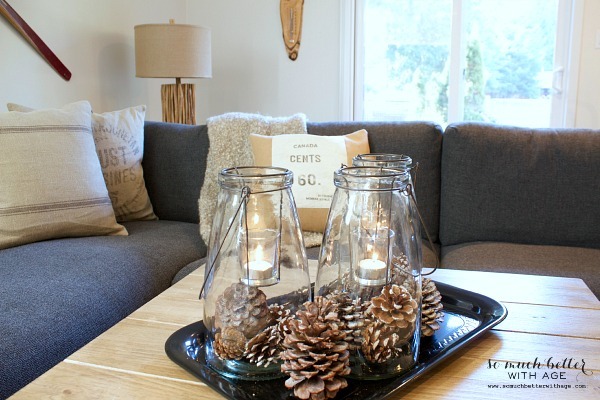 Would like the glass jar lanterns. That deer head!!!! Need it, want it, love it! I really love that deer head! I can’t believe it’s resin!!! Love the wire basket and those skis!!!! I love the mercury glass candlestick holders. They would be a perfect addition to the Scandinavian mantel I have this year. 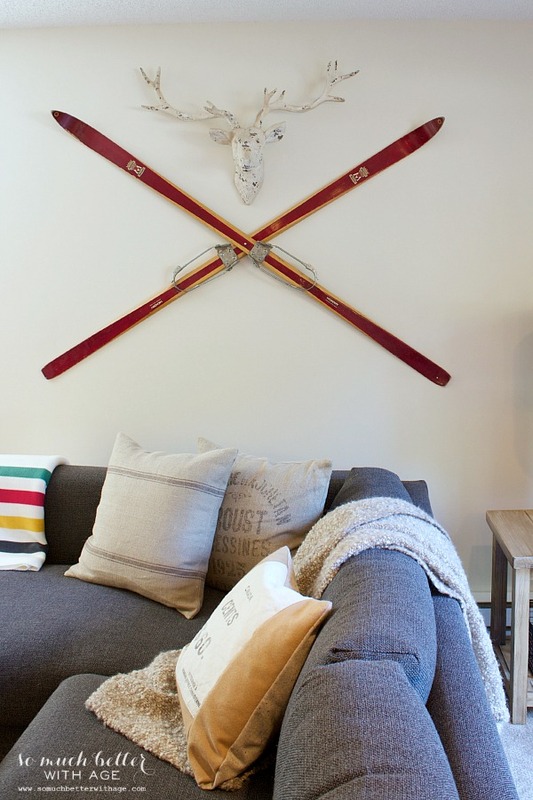 Your cabin looks great – love the skis on the wall and the twig lamp especially. 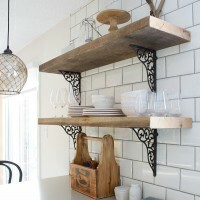 I love these rustic crates and all the items you have hanging on the wall. The skis, love! I like this from Kirklands. We’ve been needing a full length mirror! I am obsessed with Kirklands. I’ve had my eye on that deer head for about a month now. 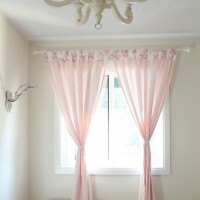 It looks perfect in your living room! 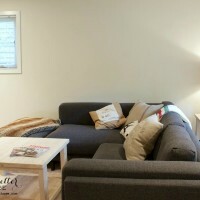 Jamie – I love love love your space – you’ve done such a great job with the cabin. Kirklands is fab – I so want one of their tiered trays for my kitchen! I love the Bark Floor Lamp! 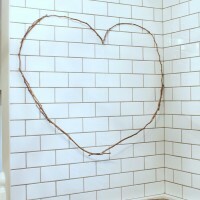 Love the twig lamp ? I love the Distressed Cherry Jewelry Armoire Mirror. The Santa paintings are divine! I love the Christmas decor at our local Kirklands! Love Kirkland’s website. So many unique finds! You’ve got a great eye for vintage style! Kirkland’s is the first place I always l go when I need a nice mirror. I got a great one with a distressed metal frame for my bedroom. Thanks for the giveaway! I love the turquoise sideboard! They have so many nice things! Thank you for the opportunity to win! 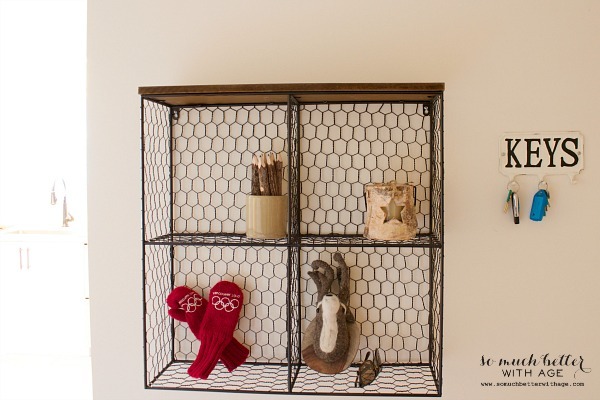 Love the wire basket shelf and the deer head. I guess I’m cold right now because I really like oversized throws! OH my gosh I love everything! Especially that deer head and twig lamp! 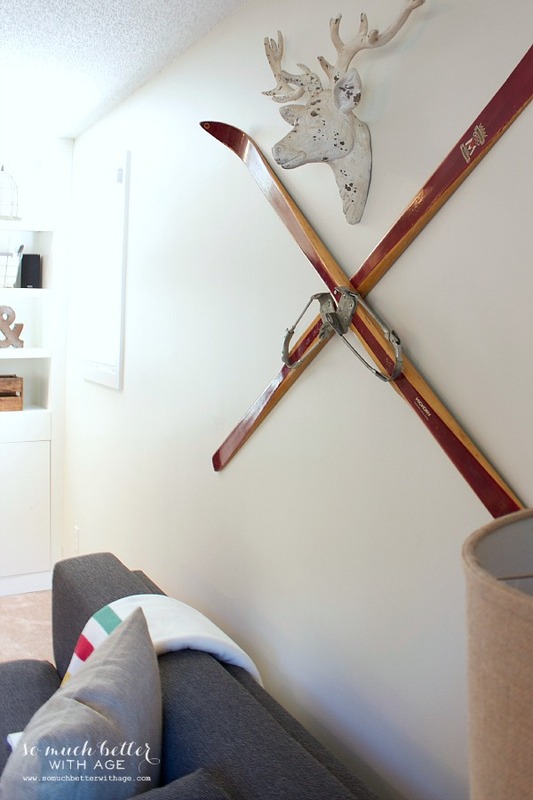 Love how you hung the skis on the wall! It’s coming together sooo nicely! 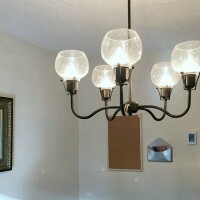 Love the glass lanterns!! The price for them is fabulous, too. I’m just gaga over those skis! This is too creative and awesome, especially glass lanterns. Thanks for the great links.